We are Piano Movers of Boston, who know how important your piano, organ and any musical instrument is because we’re musicians ourselves. We started this site because we felt there weren’t highly professional piano movers who understood how to move a piano without causing damage to our piano. From our 10 years of experience, we’ve have experience moving over more than hundreds of all types of upright pianos, baby grand pianos, and organs. We’ve moved numerous brands such as Steinway, Yamaha and Kawaii, and know the little quirks and subtle differences that come with each piano. Since we have experience in moving all brands of pianos, we know where and what pieces have to be removed to make transport very quick and efficient. For most moving companies that do not have specialized expertise with specific brands will still charge their starting standard rate of $500, which doesn’t include the extra costs of moving a specialty item such as pianos. But since we only specialize and have experience and expertise on moving pianos of all brands, we can get the job done for you at less than half the cost of other companies. Quick Service & Easy Scheduling – We aim to get your piano moved as soon as possible. We often provide same day delivery if we have availability at no extra charge. We are also flexible to your schedule so that we can help you move your piano at your convenience whether it’s the weekend or at midnight. Professional and Hassle Free Service – We have been providing piano moving services in Boston for over 15 years and specifically we started to move pianos for more than 10 years. We do not under staff and we do not hire day labor movers. We are always on time and provide the best piano moving service in Boston. We also have tons of experience moving all different brands of pianos, which gives us an understanding of each different piano. Affordable Prices – We provide you with an honest estimate of how much it would cost to move your piano. We know that many other moving companies tend to have fine print fees when it comes to moving delicate instruments or products such as pianos. We don’t have no small hidden fees nor do we charge any additional fuel charges. We provide quality piano moving service without you needing to purchase any extra insurance or materials for the move. Local Owned and Proud – We’ve been locally and family owned business for over 15 years. My dad started this business and I have helped him move pianos since college. So we know Boston and the best routes to deliver your piano safely and quickly. Insured – All of our professional moving service is insured and bonded so that no matter what happens, we have you covered. We know that a piano is very important to you and we take extreme measures to protect your piano. Read Our Piano Movers of Boston Reviews From Satisfied Customers. If you want the best local piano movers in Boston, we guarantee you that you won’t find any deal that’s better than ours. Call to get your free quote today and 10% off if you tell us you found us through our website. Let Piano Movers of Boston help you move your piano so you can continue to move music into your hearts and homes. Usually two and sometimes three movers show up at the home. They carry a variety of specific tools, including moving pads, piano skids, slings and ramps. Most importantly, they are armed with the knowledge of how to move a piano safely. Seriously, it’s all about experience when it comes to moving pianos. 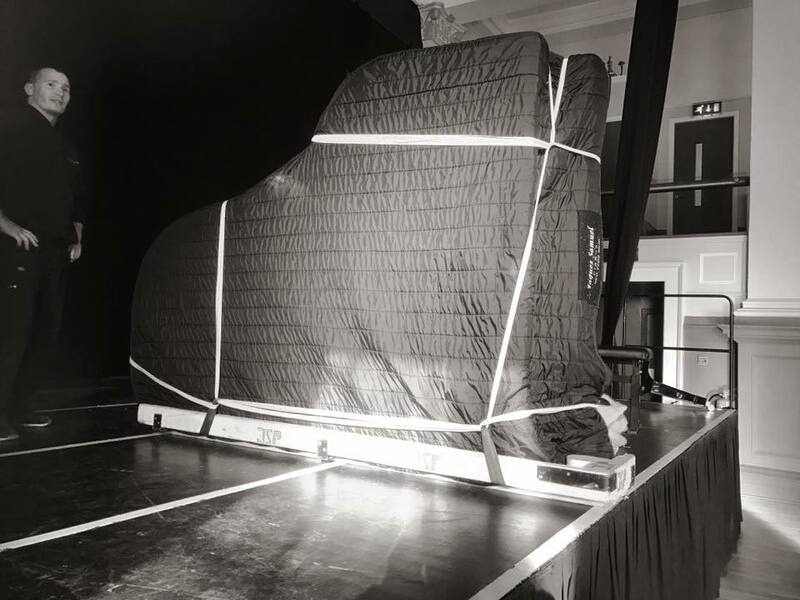 Padding and blankets are necessary to cushion the piano during the ride to its new location, and locking or wrapping the keyboard is also extremely important to prevent damaging the keys. Should I Tune My Piano Right After the Move? Remember that a piano will need to be tuned again after any move because even a professional move cannot cushion the instrument against minor shocks that will disrupt its tuning. However, we recommend you wait a mininum of 2 weeks before you get a piano tuner to tune your piano. This will allow enough time for the piano to adjust to the new environment and for the piano to properly settle. I recently moved from upper apartment to the first floor unit and we have no elevator in the building .We called to Piano Movers of Boston and could not be happier with how they moved my heavy ,solid wood vintage piano . The movers arrived in time and were very professional and hard working. They wrapped my piano very well and were extremely careful. Move took less time than we thought it would and the cost for a service was very fair." Piano Movers of Boston Rating: 5 out of 5.